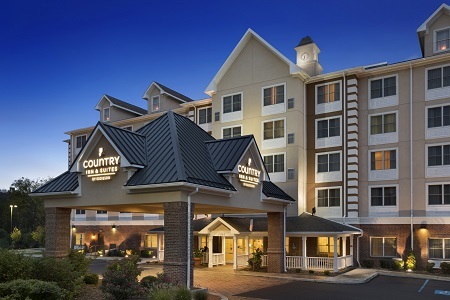 Conveniently situated near the Penn State campus, the Country Inn & Suites® by Radisson, State College (Penn State Area), PA provides an ideal home base for your State College adventures. Visit your favorite student at Penn State University, just two minutes away, or gather your buddies for tailgating and game-day fun at Beaver Stadium. Craving some fresh air? Plan a trip to Bald Eagle State Park, Mount Nittany or Tussey Mountain, where you can spend an active afternoon hiking, boating and swimming in the summer and snowboarding or skiing in the winter. If you’re looking for additional privacy, check out our flexible One-bedroom Suite. 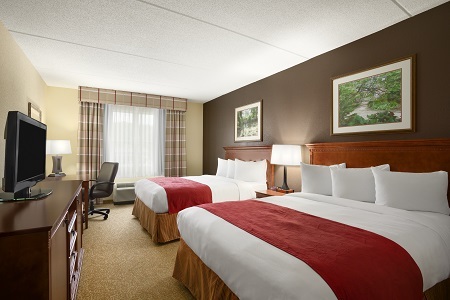 Guests have the choice of one king or two queen beds and can enjoy extras like a second TV and a sleeper sofa. Wake up each morning to our free, hot breakfast. 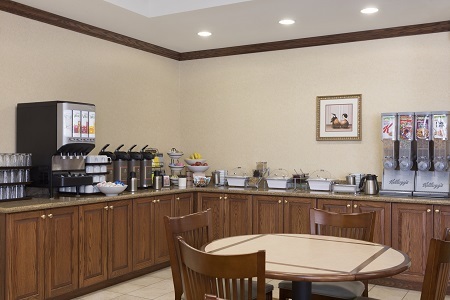 You can choose from delicious selections like waffles, yogurt, fruit and eggs in our inviting dining room. Enjoy lunch or dinner at a nearby restaurant like Happy Valley Brewery, where you can savor a variety of refreshing beers and pub fare. Don't miss the area's historical restaurants like The Tavern or The Corner Room in downtown State College. Beaver Stadium – This 107,000-seat stadium is home of the Nittany Lions, Penn State’s football team. Tailgate and cheer on the team less than two miles from our hotel. Pennsylvania State University – This public institution is one of the largest of its kind in the nation, with 24 campuses and a total enrollment of more than 98,000 students. You can reach the main University Park campus in just two minutes by car. Tussey Mountain – Tackle breathtaking slopes on skis, a snowboard or an inner tube at this mountain about six miles from the hotel. 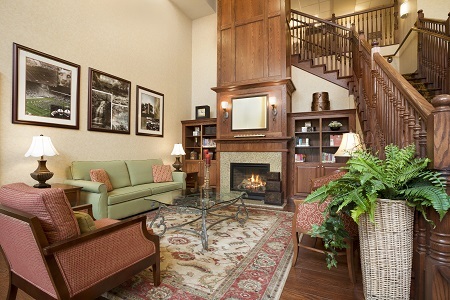 Hosting a business meeting, interview session or graduation celebration in State College? Invite up to 50 guests to a special event in our flexible meeting space. Ask our friendly staff for catering recommendations, and make your event even more memorable using our surround-sound system and ceiling-mounted projector. Our free airport shuttle conveniently transports overnight guests to and from the hotel. Please note: Hotel shuttle service is not available during special events. *The hotel features four electric vehicle charging stations, including two Tesla stations (100 amp and 50 amp) and two stations for regular vehicles (50 amp). Use of stations is complimentary for hotel guests.